There are many beautiful islands scattered all around Greece, providing a variety of unique holiday and vacation destinations for your travels in Greece. The group of islands known as the Sporades consist of several small islands, which made a perfect choice for your holidays. The island of Skyros, located in the lower region of the Sporades, is an island of exceptional natural beauty. Skyros is home to a variety of villages, each of which has it's own charm and beauty. One area in Skyros that is very popular with visitors to the island is the coastal town of Molos. Situated a short distance away from the capital town of Chora, the town of Molos is home to a very beautiful and popular beach. With the neighbouring town of Magazia next door, Molos is an ideal place to stay in Skyros, and makes an ideal base from where you can head off and visit some of the other nearby towns and areas. 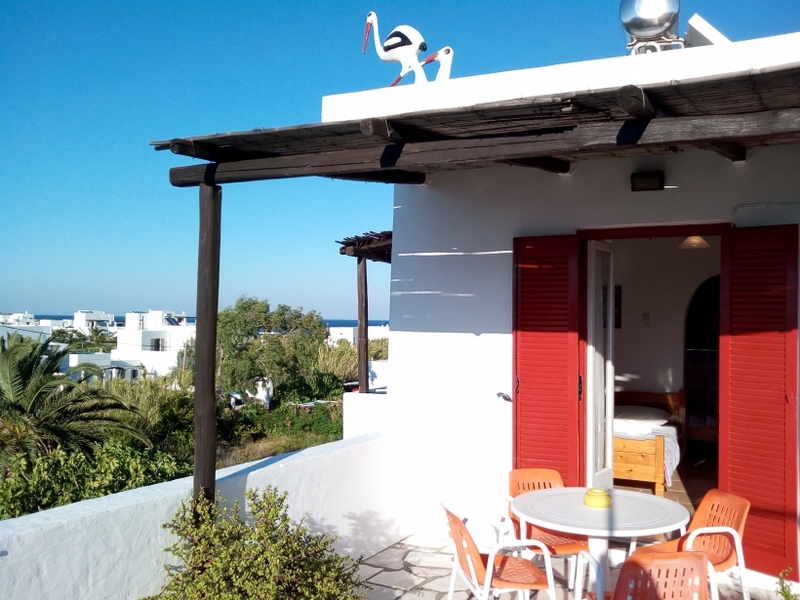 It is here in Molos that you will find "Alexiou Rooms", from which we are delighted to welcome you to the island, and offer you a lovely selection of comfortable rooms for your holidays in Skyros. We are located in a quiet part of Molos, and our rooms are just 100 meters away from the lovely sandy beach. In the summer months you can enjoy bathing and swimming here at the beach. Close by is a mini market, as well as a few tavernas where you can enjoy a meal. All of our rooms are nicely decorated and have TV, fridge and a balcony. We also have a single apartment available which has a lovely garden in front. The apartment is fully furnished and has an equipped kitchen, sitting room and 2 bedrooms. 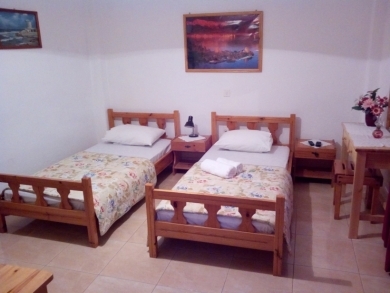 Our apartment is ideal for those who may be travelling with children or in a small group. "Alexiou Rooms" operate from April through to October, so if you are planning on visiting Skyros during those months, you can be confident that we will be here, waiting to offer you a warm welcome and our most sincere hospitality. If you would like any further information about our rooms, please feel free to contact us. We will be more than happy to help with any questions that you may have. 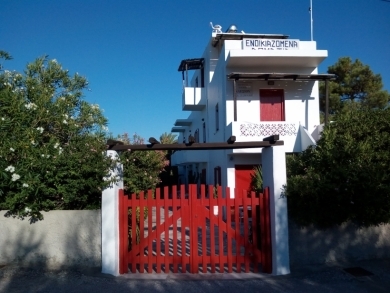 We look forward to your arrival here on the magical island of Skyros in the near future.